As a design consultant at Digisight I was responsible for the end-to-end design of their iOS app, Paxos. 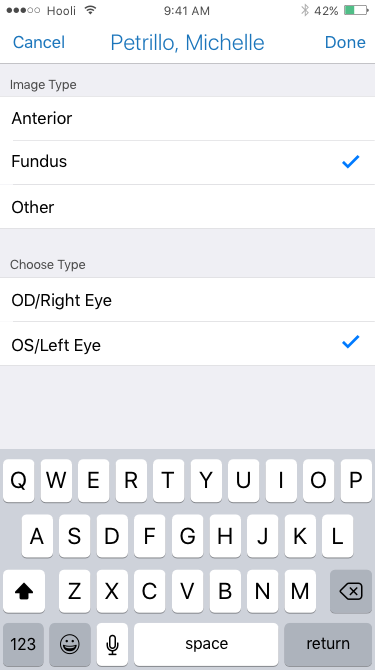 Paxos is an app designed to allow ophthalmologists and emergency doctors to easily take and share photos of eyes, take and share Visual Acuity and Intraocular Pressure exams, and take and share notes on patients in multiple settings including ophthalmology residencies, emergency departments and regular office visits. Learn more about Digisight here. Paxos also had a hardware component which attached to an iPhone that allowed physicians to take photos of dilated eyes in low-light settings for a fraction of the cost of existing technologies, making screening patients in remote areas possible. Read more about their efforts with the Himalayan Cataract Project here. The ophthalmology practice had old ways of communicating and sharing patient information between doctors, including faxing and mailing physical images of eyes. In some cases doctors were sharing patient information through text messages, emails, and other online communication tools. Integrating with existing EHR systems so doctors would not have to replicate data and images multiple times. Hospitals have notoriously terrible reception so creating an offline friendly app was a top priority as well. 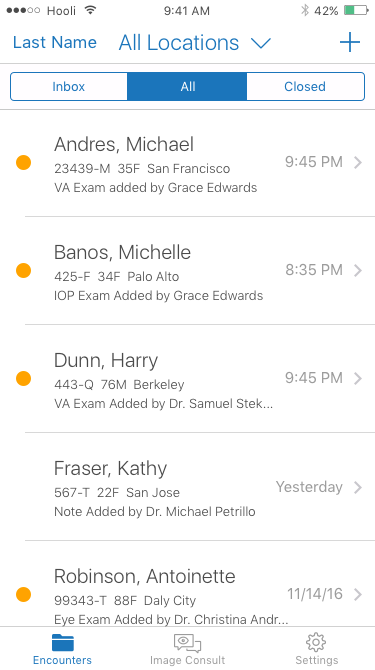 Design a HIPAA-compliant app that gave doctors a way to create encounters digitally, take photos of eyes to share with colleagues for consultations, encourage conversation, and improve handoff between shift changes. A redesigned app that met the needs of many use cases, integrated with their exisiting EHR, and was usable offline, leading to Digisight's first contract with a large healthcare player. I learned how to re-skin an old App and convince a team they needed a new one during the process. 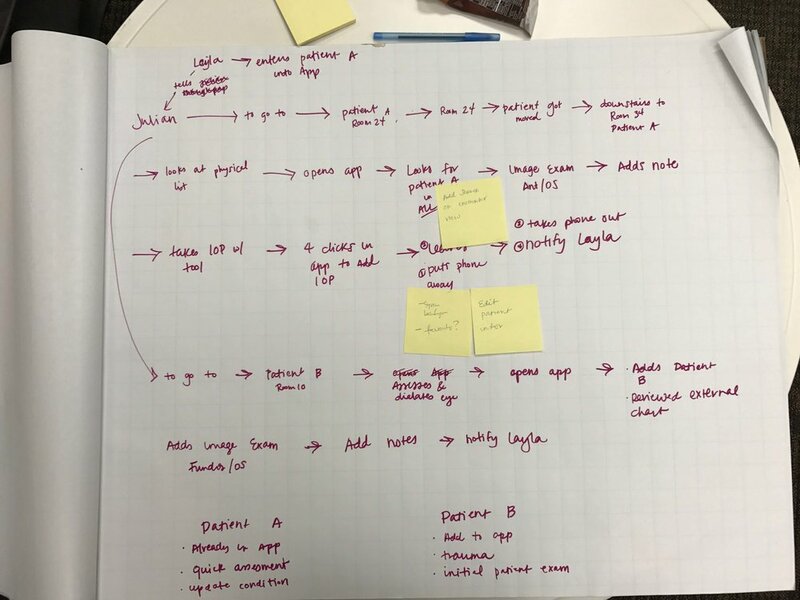 I learned how to design for specific use cases and how to make user maps, flows, and customer journeys. I also learned how to work with a completely remote team, understand the pros and cons of doing so, and what I preferred (in person, mostly). I learned iOS patterns, and when to use them and when to stray from them. My biggest learning was that I understood what it took to be a product designer.